Joey Carbery gets his first Munster start tonight and for some supporters this full debut comes a fortnight too late. The IRFU’s player management system is guaranteed to generate debate at this stage of the season. Supporters that pay money to watch their team play every week are anxious to see how they’ll start the season and want to get their money’s worth. They want to see the best players on show. You have to remember that these players are offering up their jersey and opportunities to their competitors every time they don’t wear it themselves. They hardly ever want the rest either. You don’t become a professional player by taking the easy route or by doing what you’re told all the time. You push the boundaries, you give out to physios when they say you’re not fit and rest doesn’t always seem like a privilege. If a player is willing to take a rest you know it must be because they need it. I wasn’t fully competing at senior level when Ronan O'Gara was at Munster. I was down the pecking order behind Ian Keatley, JJ Hanrahan and Scott Deasy, but the international window had an effect on me as well. If ROG was away then Keats would start and JJ or Scott would be on the bench. That allowed me to get some ‘A’ games. Younger academy players would be needed to make up numbers in training as well. Making up the numbers might not sound too promising but it meant you had exposure to the senior coaches. You were more in their mind and had the chance to impress. Even training sessions have an impact on academy players when it comes to contract time. We want to see these players play a long and successful season. If we don’t look after them they might not be available to play at the business end of the tournaments due to overload and soft tissue injuries. Some players can play a lot of minutes and pick up fewer injuries than others. The IRFU can’t predict this though and can’t take the risk. It’s about extending the player's long-term career as much as it’s about keeping them fresh to perform at peak times throughout the year. Rugby is a physically demanding game but that takes a metal toll on the players as well. Just because a player hasn’t played every minute of an international season doesn’t mean he hasn’t prepared as if he’s coming off the bench after two minutes. He will have to watch every bit as much video and train well throughout the week. He has gone through most of the other six days as if he’s starting, he just doesn’t get to play every minute. He will also have to do all the travelling, experience all the highs and lows and live every moment with that squad. The season is long, especially for younger players who haven’t as much experience. It can be hard to keep your focus at different times like when Christmas is approaching and your family and friends are starting to wind down. As a player you nearly need to step it up a notch. Games come thick and fast because you’re the Christmas entertainment for everyone else. 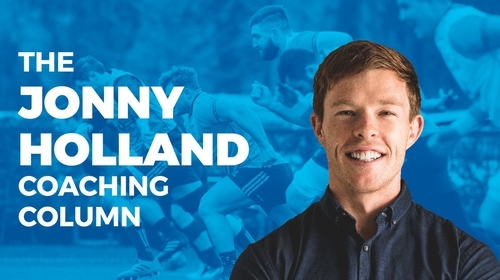 We’ve all heard that the best players ‘have it mentally’, which they do, but the IRFU has to give them the best chance to harness this strength and not burn them out mentally as well as physically. This is very much the case with Carbery at Munster. Fans are keen to see what he can achieve in a starting position and I’m sure he’s looking forward to the challenge against Ospreys tonight himself. That doesn’t mean you throw him in to the first game and play him every chance you can. It’s a long season as it is, never mind with the World Cup at the back of all their minds. Players will speak to the media and pretend that their club comes first, but thoughts of getting on that World Cup plane are ever present. It’s a tough position to be in. I always wonder how the top players do it. I’ve had some experience at the end of seasons when facing into the next one can seem like a mountain to climb. You want to start it and play well but if you don’t get good momentum from the beginning you know it’s going to be a long year. It’s hard to get up for every game. You know you want to have a good game but sometimes it just doesn’t happen for you. The top internationals just find a way to do the preparation, set the standards and get it done. I always think about the likes of Jonathan Sexton. These guys get a week or two off here and there but never get a full rest. Even during the summer they go on holidays later than the rest of the squad so the pressure is on to come back fit because everyone else will be half way through preseason and flying it. Sexton makes the game look easy and rarely has an off day. I think that’s one of his greatest strengths. Physically it wasn’t always easy though when the IRFU had less control over his playing minutes during his stint at Racing 92. He seems a lot more comfortable under the IRFU programme. This injury prevention system is very important for developing other talents. As a fringe player you will be looking at games against weaker opposition hoping to get an opportunity. You’ll also look at the November internationals and the Six Nations window to see who you might get an opportunity against. Other than that, the season is very limited for these players to play first-team rugby. They will look to gain some momentum in the international windows and can often find themselves in European squads or playing in some better quality games if they perform well. The professional game is very much squad-focused nowadays. Keeping the non-starters or ‘finishers’ (whatever they’re called these days) happy and motivated can have as much of an impact on your starting players. If they’re not happy the mood of the whole camp can be affected. With forced rest for International players, non-starters get plenty of game time. They might know they won’t be in line to start the next European game but at least they can stake a claim by getting more opportunities throughout the season. There are positive aspects to it. Read Jonny Holland's new column every Friday on RTÉ.ie and the News Now App.